This evidence based course will prepare attendees to diagnose, harvest, and administer these regenerative therapies in an office setting. 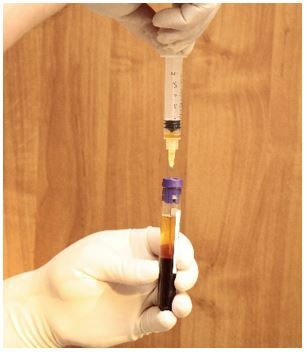 Autologous Conditioned Plasma (ACP) aka PRP has numerous corrective pain management indications for patients that are non-responsive to conventional treatments. ACP injections have been utilized with a number of medical conditions including tendinopothies, joint pain, arthritis, and sports medicine applications. In this 1-Day course you will receive extensive training in the harvesting and administration of ACP including the use of biologics (concentrated growth factors) such as amniotic tissue as well as stem cells derived from adipose cells for use in patients. Enhance patient care and realize the benefits of using and offering these regenerative therapies within your practice and create new revenue streams and greater patient satisfaction. This evidence based course will prepare attendees to diagnose, harvest, and administer these regenerative therapies in an office setting. These interventional procedures can be performed safely within an office setting (clean procedure | aseptic procedure) and can be used in combination with conventional treatments without complications and to the benefits of patients. 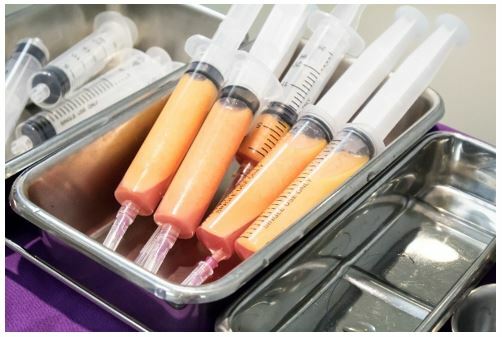 Autologous Conditioned Plasma (PRP) can be used as a stand-alone treatment effectively or combined with Allograft CGF (Concentrated Growth Factors) to compliment traditional pain management therapies. 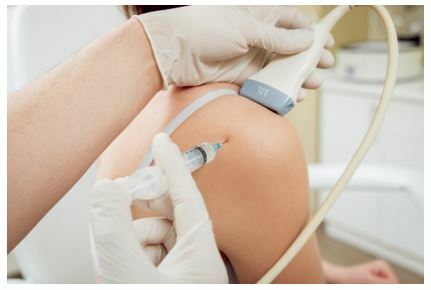 Typically, ACP injections are cash basis procedures and the average cost to patients is approximately $600 - $800 per injection cycle (before biologics) or treatment in pain management applications. Included in the course study will be concentrated growth factors to enhance your ACP injections using allograft concentrated growth factors and stem cells from amniotic tissue or bovine (A-Cell). Anecdotal studies and peer to peer cite reviews show increased biological activity, accelerated healing, and correction when used in combination with ACP. All attendees will receive complete injection protocols, standard of care, and complete information on the procedures to diagnose and gauge improvement of these conditions for treatment. Muscle Atrophies and other soft tissues. As part of the course study you will be introduced to the various stem cell therapies also being performed in conjunction with ACP or conventional medicine. The growth in using mesenchymal cell therapies is expanding beyond orthopedic offices and the demand from patients is becoming popular. These experimental therapies are being used successfully globally and within the United States but do have additional limitations as these are not FDA-Approved and its uses are limited to orthopedic conditions for larger joint pain. Adipose Stem Cells (ASC) and Bone Marrow Stem Cells (BMAC) are the available options for physicians but there are no professional medical guidelines for who can and cannot receive stem cell therapy. Stem Cell Therapies are considered to be experimental by the FDA so the decision about who gets stem cell therapy is up to patients and doctors and there are legal requirements as to the advertisement of such within your practice. The Adipose Stem Cell Therapies (ASC) and Bone Marrow Stem Cells (BMAC) procedures include all protocols for harvesting and re-injection, patient selection criteria, contraindications, and expected results for the most common types of arthritis to the knee and shoulder areas. Candidates for such treatment are usually mild to moderate degeneration of capsule and the most robust response to these treatments are candidates that are younger to middle age and in good medical health. There are other experimental uses of mesenchymal cell therapies such as Multiple Sclerosis and Alzheimer’s though the course will concentrates only in the pain management application therapies. 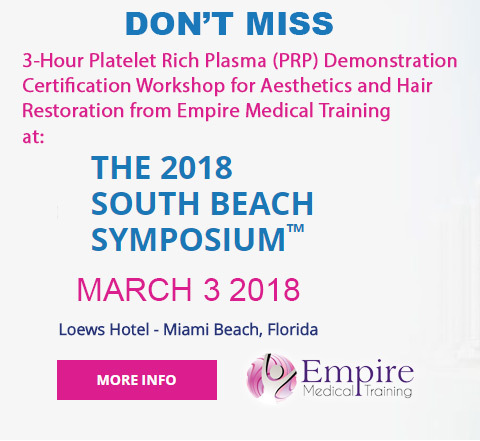 Empire Medical Training will prepare you to integrate these new procedures within your practice and apply the latest standard of care considerations to be able to perform these safe and effective nonsurgical procedures. 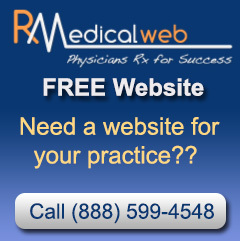 We provide a large amount of supplemental data for review after the course and attendees will receive complete protocols for all the procedures associated with the ACP (Autologous Conditioned Plasma), Allograft CGF (Concentrated Growth Factors), and Stem Cell Therapies being employed with sports medicine, orthopedic offices, hospitals, and private practice. Marketing, pricing and packaging, and detailed pre and post-treatment options for patients are given as well as the legal, ethical, and administrative concerns associated with the introduction of these new procedures. Give your patient the latest treatment options for pain, enhance patient care in the management of various pain conditions presented, and differentiate yourself from others with these expanded pain management procedures. The additional revenue streams associated with these procedures are attractive to physicians and are the perfect addition to any medical practice treating these various chronic soft tissue and joint related arthritis conditions. Understand and evaluate the latest in Pain Management procedures concerning ACP and stem cell therapies for the treatment of chronic and sub-acute pain indications including soft tissue pain (tendinopothies) and joint pain as a stand-alone treatment or in combination with conventional treatments. Learn the principles and gain a working knowledge of the various systems and products available for the mechanical harvesting of concentrated blood platelets, adipose cells, and bone marrow aspirate. Secondary system considerations are given to the purification and concentration of the adipose cells and BMAC. You will also learn and understand the various Allograft Concentrated Growth Factor commercial products available associated with ACP including amniotic tissue products and bovine products available. Learn the various types of specific medical conditions that can be successfully treated with ACP, CGF, and stem cell therapies including detailed protocols, injection diagrams, diagnostic tools, and standard of care considerations. Introduction of alternative treatments such as Umbilical Cord Blood products for specific indications. 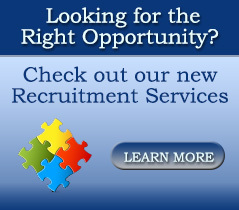 Receive and understand the business aspects of inclusion of these new procedures including liability (malpractice) insurance, promotion limitations, FDA opinion, and administration issues (i.e. consents, intake forms, etc.) associated with these new pain procedures. Understand which procedures can be used in combination with conventional pain management therapies; global period, contraindications, and patient expectations for the various anatomical pain presentations as well as the need for additional treatments. Learn which steps to complete to be successful concerning pre-treatment, technologies, consultation, the actual procedure, and post procedure imaging and possible further correction of pain modalities. Access and enduring materials for all of the various injections, functional orthopedic exams for differential diagnosis, and detailed diagrams and protocols for the various injections and expected outcomes or degree of improvement expected for patients. As with all of the courses offered by Empire Medical Training, we wish for you to be successful with the integration these concepts and methodologies so you become financially successful with these new pain management procedures. For those physicians wishing to do so, additional preceptorship training and consultation is made available as an option in addition to the course as well as supplemental schedules contained within the physician portal. 9:00am–9:45am • Instructor Introduction, Overview of ACP (Autologous Conditioned Plasma), Allograft CGF (Concentrated Growth Factors), and Stem Cell options for your pain management offerings. Market Trends, history, and mechanism of action are discussed as well as the etiology of pain and the correction using these integrated procedures. 9:45am-10:45am • Review of the (2) FDA processes for ACP (Single Spin | Dual Spin), Component factor of ACP with review of ACP protocols for pre-treatment, consultation, harvesting of platelets, injection techniques, and post treatment options including complete protocols, volumes, global waiting periods, contraindications, and follow-up recommendations. Review medical indications for treatment for soft tissue, joints | cartilage, ischemic nerve damage, and other specialty pain applications. 1:00pm—2:30pm • Review of the various types of adult stem cells available for harvesting and re-injection including adipose cells, bone marrow stem cells, and blood stem cells (CGF). Detailed protocols for fat harvesting using MAL, centrifuge considerations, manual manipulation of the adipose fat into a stromal fraction, and final spin to pellet form for injection. Expected yields, mesenchymal cell counts, and automated mechanical systems available for manipulation. Medical indications for the use of adipose stem cells, injection techniques, legal and ethical considerations in the use of adipose stem cells, and the use of adipose stem cells in combination with CGF. Anecdotal studies, efficacy of adipose stem cells for various treatments, and other considerations for use of the therapies are given including all intake forms, consents, and follow-up of procedures. 2:15pm–3:30pm • Bone Marrow Aspirate, harvesting of BMAC from iliac crest, equipment needed, procedure room considerations (sterile environment), and need for centrifuge system for concentration of the BMAC. Advantages and disadvantages of BMAC, expected stem cell counts, indications for use, and post procedure management. 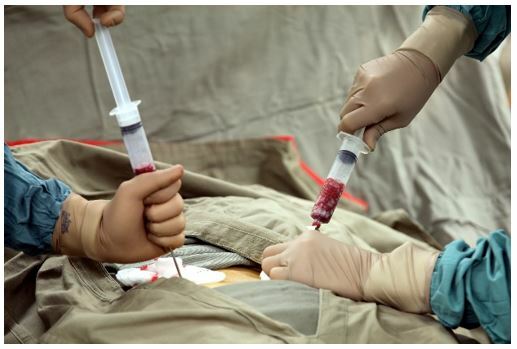 Review of complete protocols for the harvesting and concentration of the bone marrow cells, other technologies (Intraosseous infusion IO devices), injection techniques, pre-procedure, contraindications for treatment, and post procedure considerations. Anecdotal data is presented as well as all other administrative issues in providing the procedure. Alternative treatments to BMAC including Umbilical Cord Blood products for injection of the knee that has shown promising results. 3:45pm–4:30pm • Promoting your new practice, what to expect, negative feedback, patient barriers to physician care, need to pre-plan your services (product), pricing and avoid legal or ethical considerations in these investigative procedures.